Lordy Lordy Lordy - so drunk. 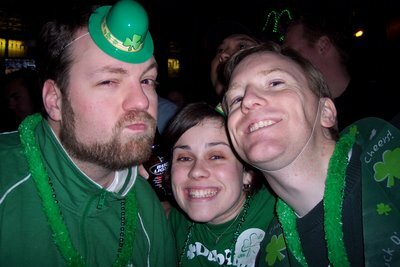 Last year, Lisa and I made it to Chicago for the wearin' o' the green, and actually got to the saloons early enough to find bar space: the primest of real estate in all of Chicago on St. Pats. This year, I'm spending my first real St. Pats. in Buffalo since I was too young to drink (9), and I'm told there's a good chance we might even get seats. Which is nice, because it means fewer feet to fall when we pass out.